The Nordstrom Anniversary Sale for card holders has officially started! And you guys, it’s good. Like so, SO good! This year is all about the basics and I pretty much want it all. 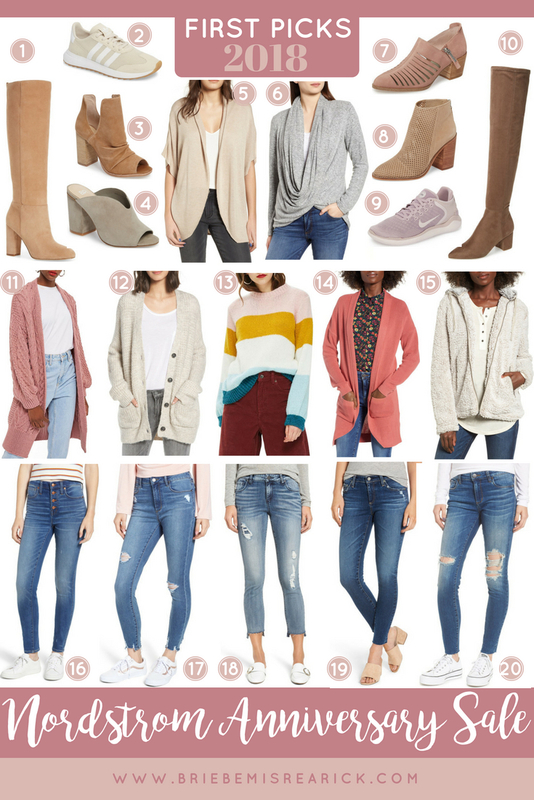 Lots of great denim, sweaters/ cardigans, and shoes this year. Today, I’ve rounded up all of my first picks that I think are going to sell out the fastest. I really love the sweater selection for this year’s Nordstrom Anniversary Sale. I remember last year a lot of my favorites were gone after the first few days, so now is definitely the time to take advantage of these amazing deals! I think all of the ones I’ve included in today’s post will be quick to sell out – especially #11 and #13! Also be sure to check out the jeans from the Nordstrom Anniversary Sale that I’ve included. Three of the pairs are on sale for under $60! #19 is a splurge-worthy pair but they are hands down the most flattering jeans I own. I hope you all have as much fun shopping this sale as I do! I’d love to hear what your favorite item is this year and if there are any specific Nordstrom Anniversary Sale topics you’d like me to cover in the next few weeks! You can check out all of my coverage on the sale so far here.